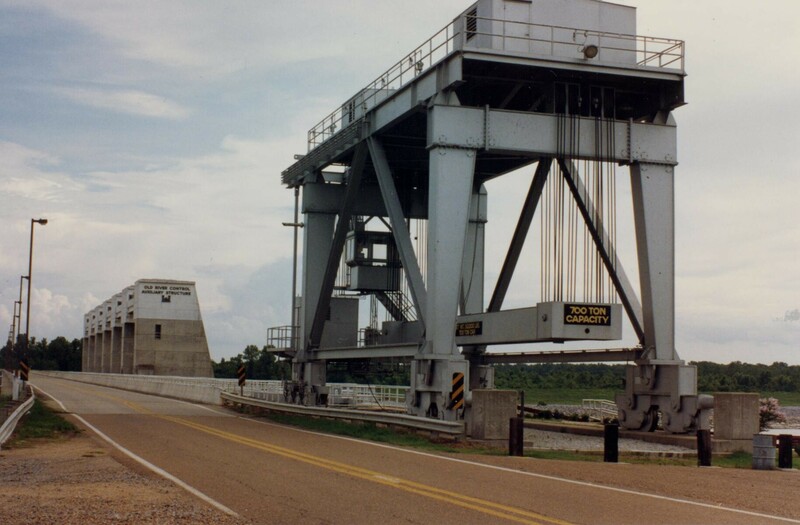 The Old River Control Structure is comprised of this billion dollar series of locks and dams located at a point along the Mississippi River, which prevent the river from diverting into the Atchafalaya River. 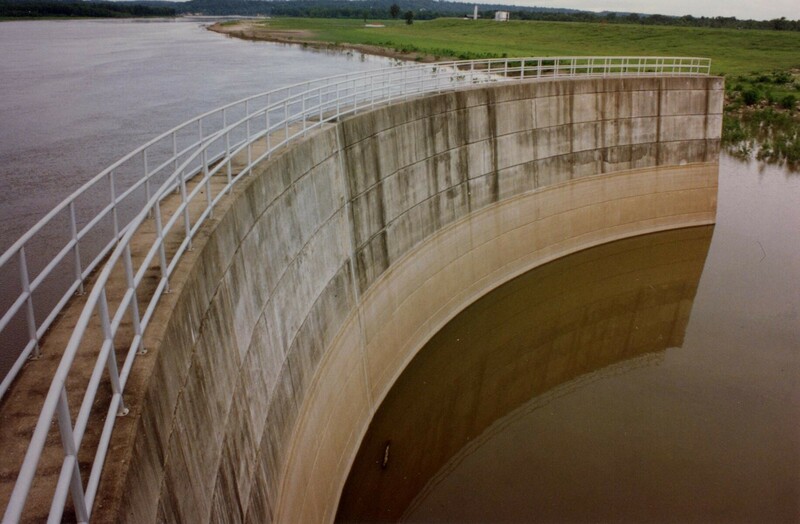 The natural meandering patterns of the Mississippi encourage the course of flow to veer into the Old River, and then into the Atchafalaya, which would flood the Atchafalaya basin, and leave cities and industries from Baton Rouge to New Orleans, high and dry. 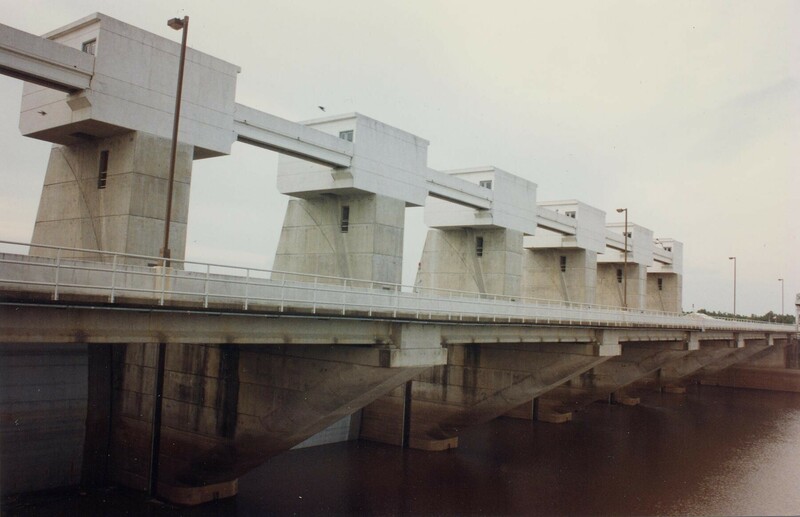 The battery of two mechanical flow control structures and earthen dams prevents this from occurring, though there has had to be a continued addition of structures in order to do so, testing the creative skills of the Army Corps of Engineers, the agency that controls the entire Mississippi River channel.